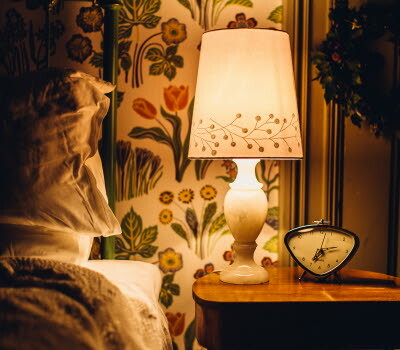 Activities, experiences and sightseeing on holiday are all great, but nothing sparks the imagination quite like a quirky stay. 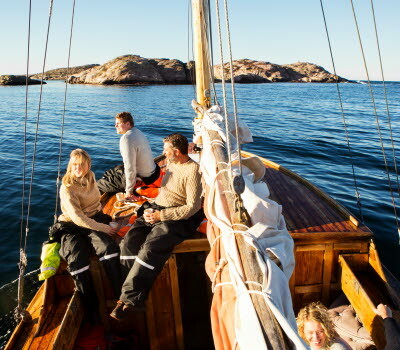 Here are six quirky stays in West Sweden that create holiday memories all on their own. 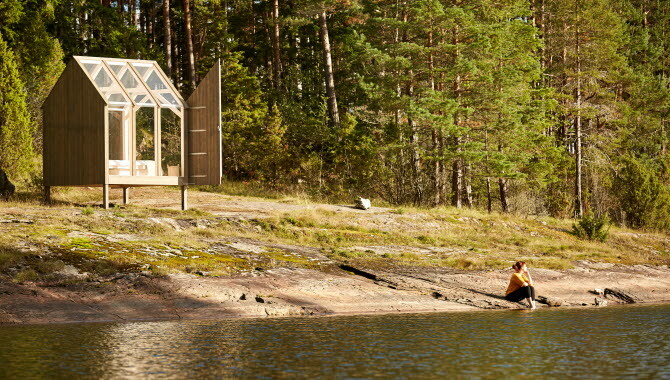 The 72 Hour Cabin project in Dalsland is a wellbeing concept made up of five glass houses that have been designed, made and built locally. 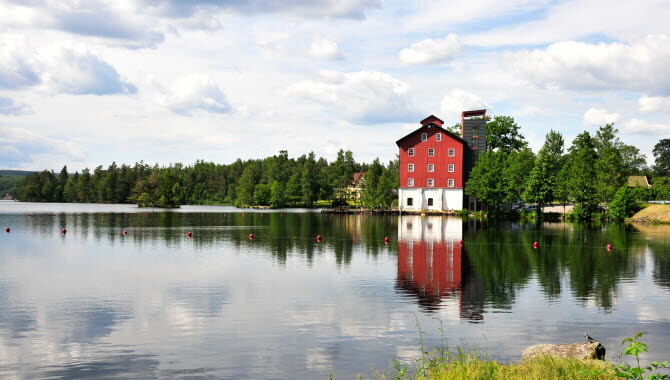 The houses are built on pillars and located on Henriksholm island, near Ånimskog forest in southeast Dalsland. More of these glass houses have now been built at Dalslands Aktiviteter activity centre in Dals Långed and at Baldersnäs Herrgård manor house and estate. 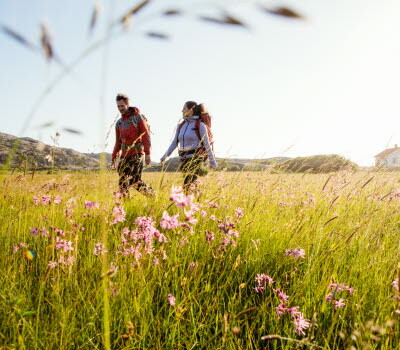 A stay at one of the glass houses and immersing yourself in the spectacular natural settings might just be the perfect cure for the stresses that work and life bring. The inspiration for the design of the glass houses is the barns that one typically finds in Dalsland, with the major difference that the 72 Hour Cabin’s walls and roof are made of glass and offer unhindered views of the woodlands and lakes. 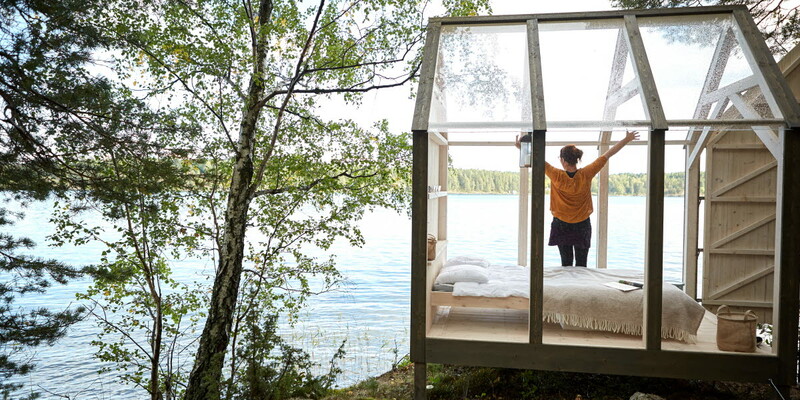 Dalsland’s glass houses truly are a sensation for all of the senses. When you arrive at Lådfabriken you know that this is a stay with a difference. The building sits on smooth granite rock just 30 metres from the waters of the Skagerak strait. 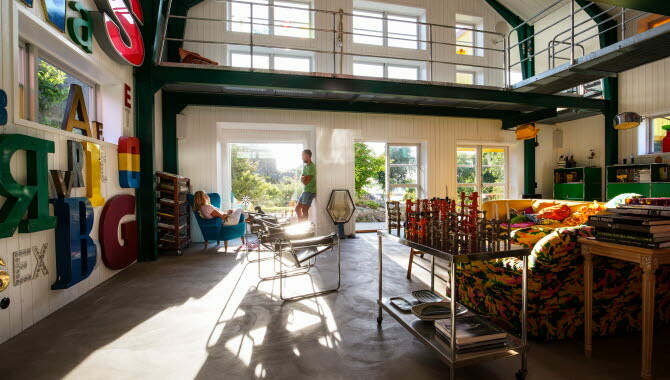 It was formerly a factory producing fish crates and wooden rowing boats. In 2008 the building was purchased by Johan Buskqvist and Marcel van der Eng who have individually designed and decorated each room on colour, form and design themes. In their wildest dreams Anne-Charlotte and Bo Ottosson could not have imagined that so many people would want to stay up a tree. 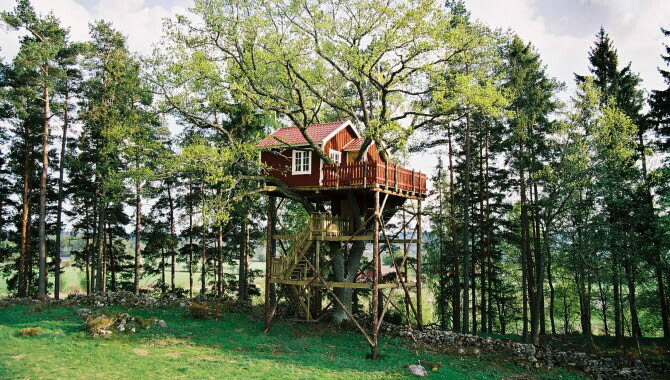 They have built two houses in an Oak tree canopy, one called Andrum (Breathing Space) and the other Sjunde Himlen (Seventh Heaven). Both provide a relaxing stay with an adrenalin kick given that your room is suspended over 6 metres above the forest floor. A breakfast consisting of ecological produce and stovetop baked bread is winched up to your room. Not far from the tree hotel you can see thousands of dancing cranes at Hornborgasjön in springtime. Were you to travel back one hundred years in time and tell a worker here at this former granary that people would travel from far and wide to stay here, he would think you were crazy. But they do. Upperud 9:9 is a unique, thoroughly modern hotel framed in an old granary. The French balconies and high ceilings provide a roomy feel. You never know, you may just find a grain of wheat between the floorboards here. There are hotels offering sea views and there are hotels…that actually float in the sea. Salt & Sill floating hotel, consisting of six two-storey buildings that float on two pontoons off the gorgeous island of Tjörn, is the latter. 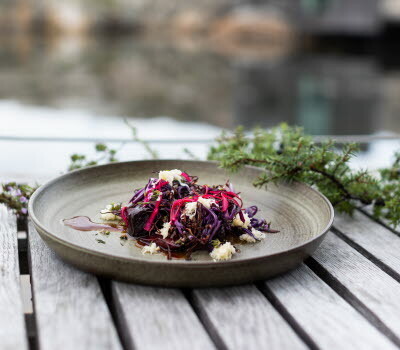 Sea views, sea spray, salty water – it is literally all about the sea here, from the local fishy delicacies in the restaurant, to a dip in the sea outside your hotel room door. There is also a floating sauna boat here for you to enjoy. Scandinavian design simplicity is the order of the interiors and at night you are lulled by a lullaby of gentle waves. 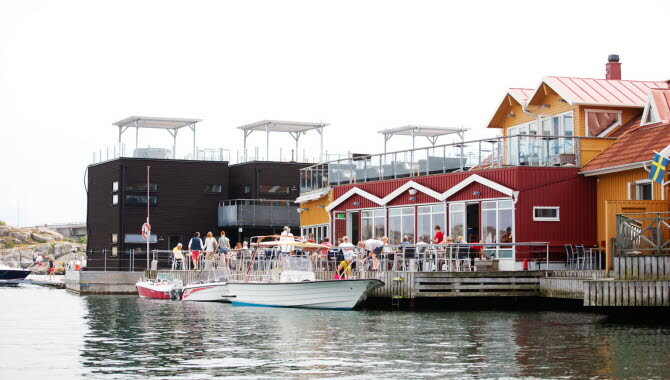 The hotel is located at the tip of Klädesholmen, known locally as ‘herring island’. There are a lot of moose in West Sweden but these noble and very large, shy beasts are very difficult to spot. So not everyone gets the chance to see one. But you can at Wrågården Elk cottage– in fact you can get very close to these amazing animals at this hotel. 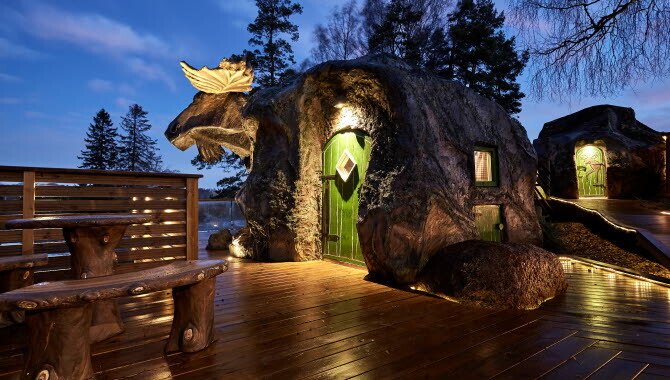 And even stay in a moose-shaped, cabin-style hotel room. Wood artist Sören Niklasson chain-sawed these amazing cabins into shape and they are located in the middle of Wrågården’s moose and fallow deer park. When you step onto your veranda in the morning the sight of these beautiful animals greets you.